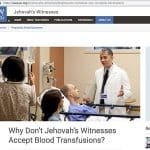 Major surgeries with no blood, for both Jehovah’s Witnesses and others? 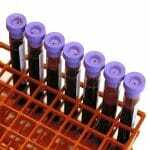 Post-operative patients who don’t need transfusion because of massive blood draws? These things are not only possible, they are happening right now, and Dr. Steve Frank, Medical Director of the Johns Hopkins Bloodless Medicine Program, is here to discuss the essentials of patient blood management carried to the extreme! When we consider the idea of “bloodless medicine,” Jehovah’s Witnesses immediately spring to mind. This group, of course, has a religious-based prohibition against receiving blood donated by someone else. 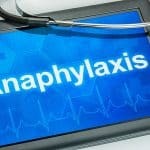 However, bloodless medicine is a growing field, with far more people interested than just Jehovah’s Witnesses! Steve Frank’s center evaluates over 2000 patients every year for surgery and other procedures without blood transfusion, and he is here to share experiences and practical tips! Bloodless medicine, according to Dr. Frank, is nothing more than “Patient blood management carried to the extreme.” It involves careful pre-operative planning as well as intraoperative and postoperative interventions. 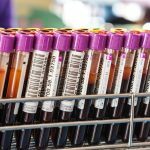 In this interview, Dr. Frank first describes his views of the essentials of patient blood management, then outlines aspects specific to bloodless medicine. 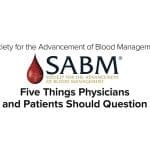 This episode is presented as part of an informal, education-based collaboration to further discussion on patient blood management with the Society for the Advancement of Blood Management (SABM). but only increases risks and costs when you don’t! Dr. Steven M. Frank is a professor of anesthesiology and critical care medicine at the Johns Hopkins University School of Medicine. His area of clinical expertise is anesthesia for vascular, thoracic and transplant surgery, and he is an expert in blood conservation methods. Dr. Frank serves as medical director for the Bloodless Medicine and Surgery Program. He is also director of the Interdisciplinary Blood Management Program and of Perioperative Blood Management Services at Johns Hopkins. Dr. Frank received his undergraduate degree in biology from the University of Missouri, Kansas City, where he also earned his medical degree. He completed his residency in anesthesiology at the Johns Hopkins University School of Medicine and performed a fellowship in vascular, thoracic and transplant anesthesiology, also at Johns Hopkins. Among his many professional activities, Dr. Frank serves on the board of directors for the Society for Advancement of Blood Management and is an editorial board member for the International Journal of Clinical Transfusion. He was named Teacher of the Year in the Department of Anesthesiology and Critical Care Medicine in 2012 and is a member of a number of professional organizations including the American Society of Anesthesiologists, the American Association of Blood Banks, the Society for Advancement of Blood Management. DISCLAIMER: The opinions expressed on this episode are those of my guest and I alone, and do not reflect those of the organizations with which either of us is affiliated. Dr. Frank discloses that he has received consulting fees from Haemonetics and Medtronic. Dr. Chaffin has no relevant financial disclosures. Excellent summary of bloodless medicine: Resar LMS and Frank SM. 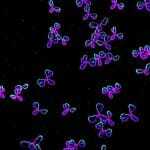 Bloodless medicine: what to do when you can’t transfuse. Hematology Am Soc Hematol Educ Program. 2014 Dec 5;2014(1):553-558. 2014 study showing bloodless patients did as well or better than those receiving transfusion: Frank SM et al. Risk-adjusted Clinical Outcomes in Patients Enrolled in a Bloodless Program. 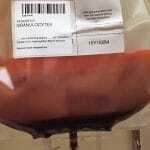 Transfusion 2014;54:2668-2677. Excellent review article on best practices in patient blood management: Sadana S et al. 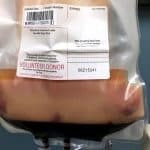 Promoting High-Value Practice by Reducing Unnecessary Transfusions with a Patient Blood Management Program. JAMA Intern Med 2018;178(1):116-122. Article by Dr. Frank et al on expansion of Hopkins PBM program: Frank SM et al. 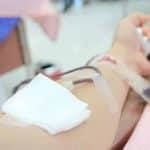 Implementing a Health System–wide Patient Blood Management Program with a Clinical Community Approach. Anesthesiology 2017;127:754-764. 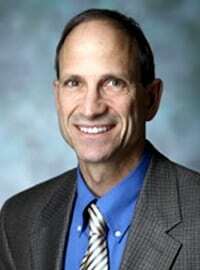 Editorial by Dr. Frank on cell-saver blood: Who benefits from red blood cell salvage? — Utility and value of intraoperative autologous transfusion. Transfusion 2011;51:2058-2060. Watch Dr. Frank introduce the Johns Hopkins Bloodless Medicine Program. I enjoyed this podcast. 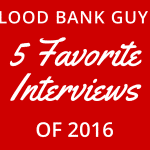 Dr. Frank’s passion for blood management is contagious. I agree, Rita! He and I had never met before this discussion, but I felt the same way, and I really enjoyed talking to him! Glad you liked it! Thanks, Fernando! I’m glad you enjoyed it.